in "The Hobbit: The Battle of the Five Armies"
That pretty much sums up what I have been all about this year. And in the back of my mind was the looming finale to "The Hobbit," this one titled "The Battle of the Five Armies." Given my year (if you look back, my last post was 11 months ago) and its one medical crisis after another, I would look with dread to year's end and the premiere of the last Tolkien movies by Peter Jackson. Why? A very simple thing, really: The movies and all of the hoopla around them have been a ray of light in these past couple of years, which have been rather difficult for me on just about every level you can imagine. Strangely enough, though, I began to look forward to the final movie. So when I found myself at the theater Friday afternoon, I was strangely calm. And armed with more than a dozen tissues. As a veteran of viewing Jackson's five previous Tolkien movies, I thought I was ready for BOTFA. Maybe it's the year I have had, maybe it's my admiration of the actor who plays Thorin, and maybe it is just life, but I was not expecting what I saw. Despite the implied scale of a battle with five armies, it could not have been more personal with most of the characters. There is an intimacy in this movie that shook me, which made it all the more powerful. The simple truth is that any battle is fought at the personal level. It is that one individual against whatever comes at them, be it orc or human. That eagle's-eye view, while epic, can show scale but completely misses that each of the dots on the landscape represent a being — good or bad — who is experiencing it on a strictly personal level. Tolkien gave us that with his Hobbit, Bilbo Baggins, small of stature but big of heart. And Jackson gives it to us in the faces of his actors and their crystal-clear emotions full of pain, horror and loss. But there was also love, a great deal of it. I wept silently for the last hour, at least. In my heart, it was a combination of this amazing journey I have been on, courtesy of this movie and the people surrounding it, both fans and the cast and crew. I have a network of dear souls who support me from afar, giving me little bursts of light in some very dark days. Every once in a while, a dwarf will answer a tweet, which is dreadfully sweet. But it is the daily tweets of smiles and sillies and hugs that keep me going, even through horrific moments. Endings are beginnings, though. And that is more of what I have been feeling. I plan to see the movie again, as many times as I can manage on the silver screen. But I am ready to move ahead. I will hold close, however, all those who will allow it once the hoopla is over. These past two years have changed me, and I can only hope for the better. 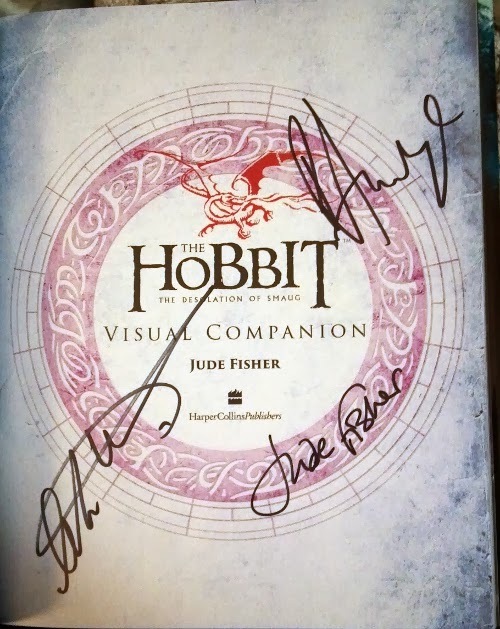 I will always try to be supportive of the dear souls around the world who have connected with me, all because of my admiration of that certain actor, Richard Armitage, and my love of Peter Jackson's work with Tolkien's stories. Oddly enough, late on Friday night (early Saturday morning, if we are splitting hairs) a strange thing happened: I had been searching for a song to inspire me and it came with another ending, that of Craig Ferguson finishing his stint on "The Late, Late Show." I have a great affection for Craig, who is a genius entertainer, a combination of silly and smart that never failed to make me smile. His was the lone show I tuned in to during my mother's hospitalization and near death. It was purely to escape reality, even if for just 10 minutes. Craig's choice of song to end his run points to all the reasons I liked him from the moment he tried out as guest host: It was honest and powerful. Here you go, by Dead Man Fall, it's "Bang Your Drum." 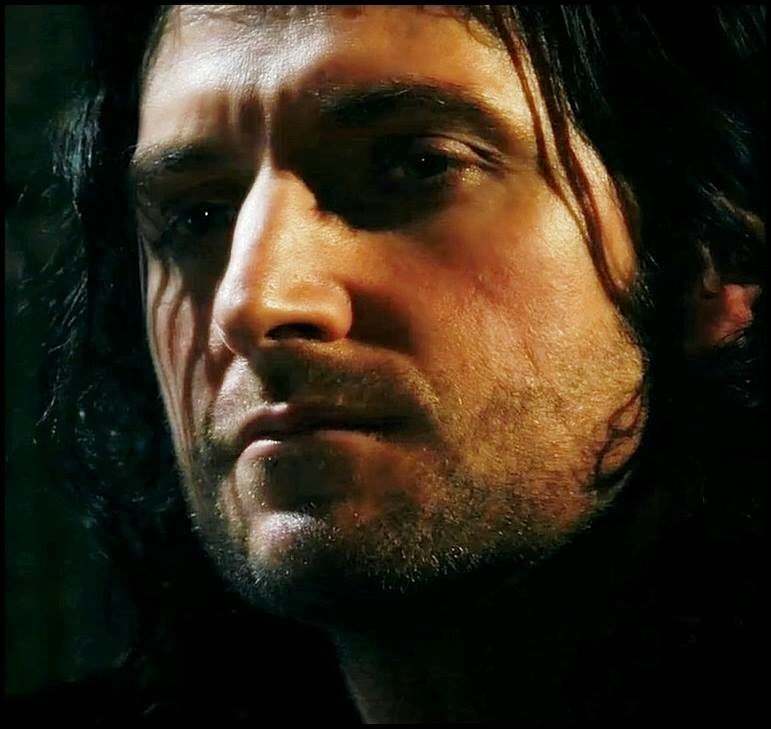 Richard Armitage can portray vulnerability in a character like few actors I have seen. It's not over the top nor forced nor waving a flag saying, "Watch me now while I show you how vulnerable I am." 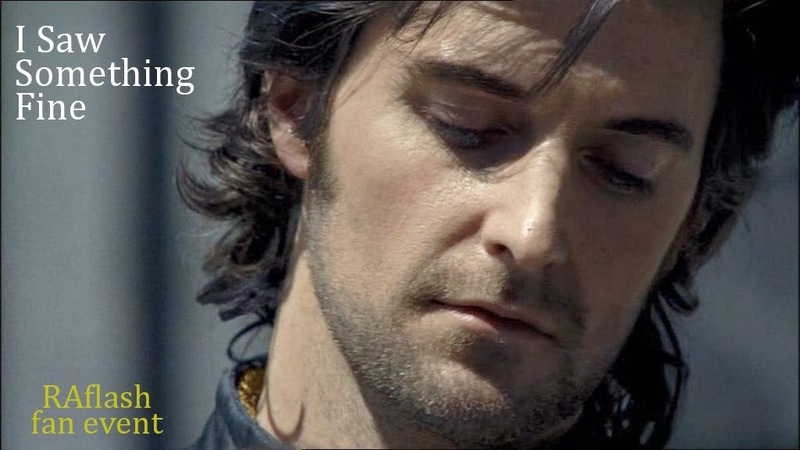 This seems to be my theme for #RAflash week (see here and here), how Richard imbues his roles with vulnerability, creating an empathetic character whether you want to like him or not. And there are a number of characters you really don't want to like. At all. Which brings me to Portah. 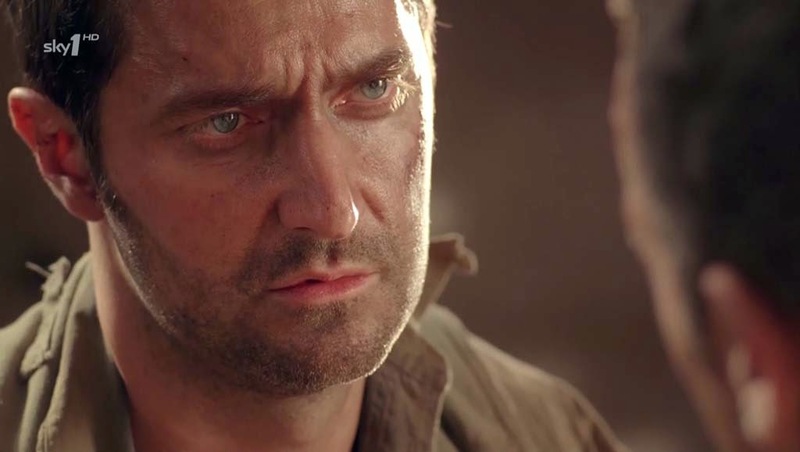 Of all the roles, that of John Porter (yeah, I know, the spelling, I'll get to that at the end) in "Strike Back" was the one that I delayed watching. My reasons were many, but in the end it boiled down to a very simple one: Porter scared me. 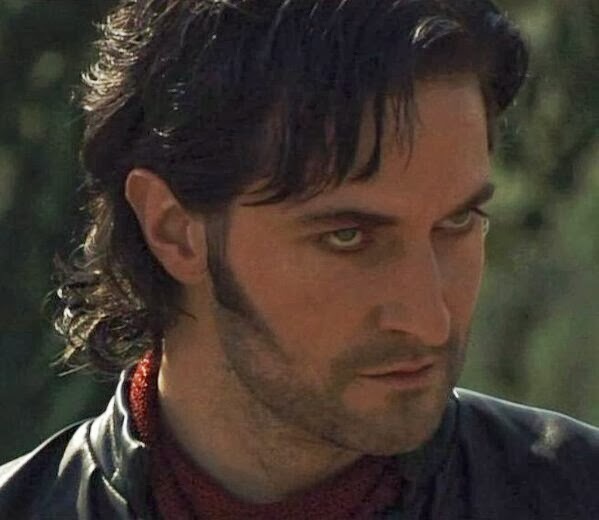 I'd been blindsided by Thornton in "North and South," which was the first time I recognized Richard Armitage. I'd moved on to Guy in "Robin Hood" and peppered in other roles, such as Harry in "The Vicar of Dibley," as I watched that series. 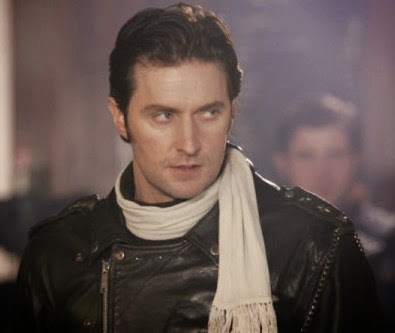 The debut of "The Hobbit" and Thorin was its own thing, and I followed that spell by watching Lucas in "Spooks" (MI5 here in the States, for some ridiculous reason). I was pretty sure Porter would kill me. Because by all accounts - and I had read a few - this was THE hero role. It was what I yearned for Richard to play. And having watched most everything he had done on the run-up to this role, I knew it would be a tour de force. From the very first minutes, it was apparent that this was no rampaging soldier role. It brought home the humanity - and inhumanity - of what being a soldier is like. But it also showed how one decision can change everything, be it a war zone or not. I was mesmerized by Richard in this portrayal, a man of conviction, a man willing to own his decisions (debatable whether they were mistakes), a man of honor and loyalty no matter the cost to himself. And this: A man who allows himself to be vulnerable, which only strengthens him as a man. Porter will always be the unsung hero, my hero, the good man you want in your life, the one who's got your back, the one who will rescue you, the one who will shore you up when you think you can't go on, the one who will put himself in harm's way to protect you, the one who will hold you when you are frightened, the one who will love you. It makes you yearn for such a man. And that's what scared me. *About Portah: Early on, when I heard the name pronounced thusly, I had to chuckle because the Maine accent tends to turn words with an "er" or "ar" to sound like "ah." The long-running joke in New England is the following sentence: "I parked the car in Harvard yard" to "I pahked the cah in Hahvahd yahd." So it will always be Portah for me. 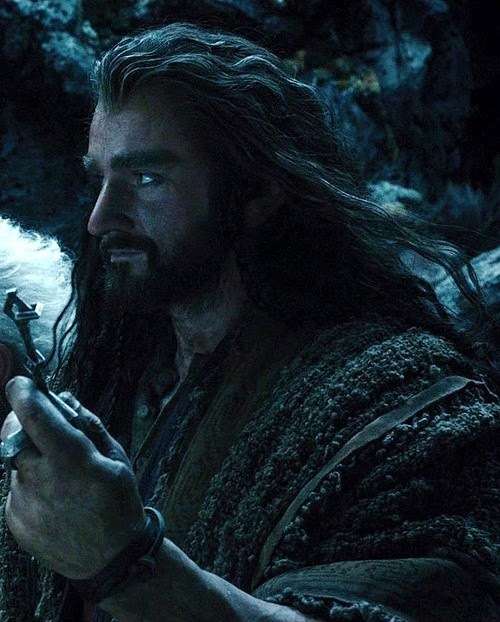 - Thorin Oakenshield, "The Hobbit"
It is fair to say that J.R.R. Tolkien knew what was important. While the above quote from "The Hobbit" wraps it into a succinct package, the book itself is a testament to all the things that are important in a life. And Tolkien doesn't whack you in the head with it or cram it down your throat. No, he simply tells a story and lets the reader decide. 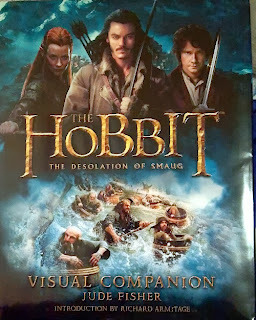 I am enamored of "The Hobbit" for a variety of reasons. 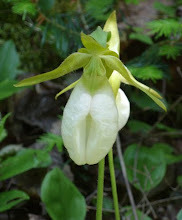 Perhaps the greatest is that I am much like a Hobbit in many ways: I love my garden, my books, my shire of Maine. Need I go on? To be honest, I think I might be a lot like Bilbo, ready for an adventure, although I do believe I have dealt with enough orcs to last a lifetime without venturing too far from home. I follow a number of Hobbity types on Twitter. It can make for a cozy gathering, out there in the cold land of the Internet. At the end of November, as the world awaited the premiere of the second round of "The Hobbit" movie trilogy, The Desolation of Smaug, I saw a tweet from Pieter Collier, aka @TolkienLibrary, announcing "The Wisdom of the Shire" contest. The day before the movie debuted in North America, I got an email saying I had won. Yet there it sat, like an occupied Erebor, waiting. Waiting. For 17 days it waited. The movie opened. Christmas came and went. A series of storms swept through my region, inundating us with snow and ice for days on end. I had more than enough to do than scan every email in my account. So when I finally sat down to clean out my inbox, that was when I saw it. 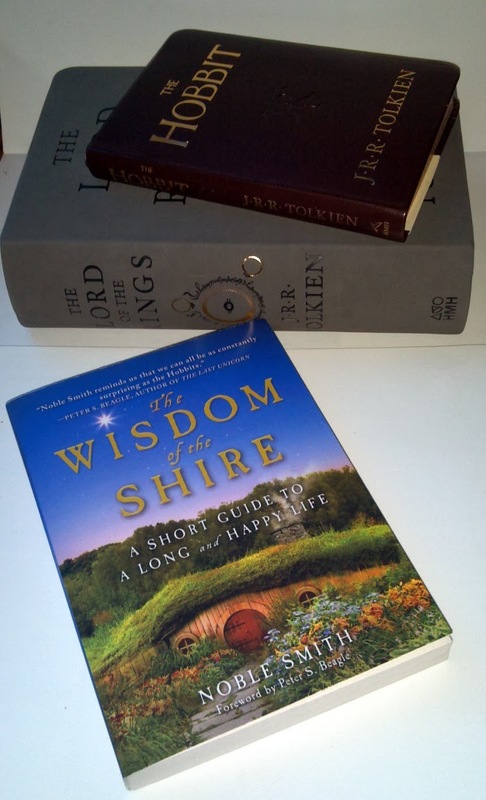 I had won a copy of "The Wisdom of the Shire: A Short Guide to a Long and Happy Life" by Noble Smith. 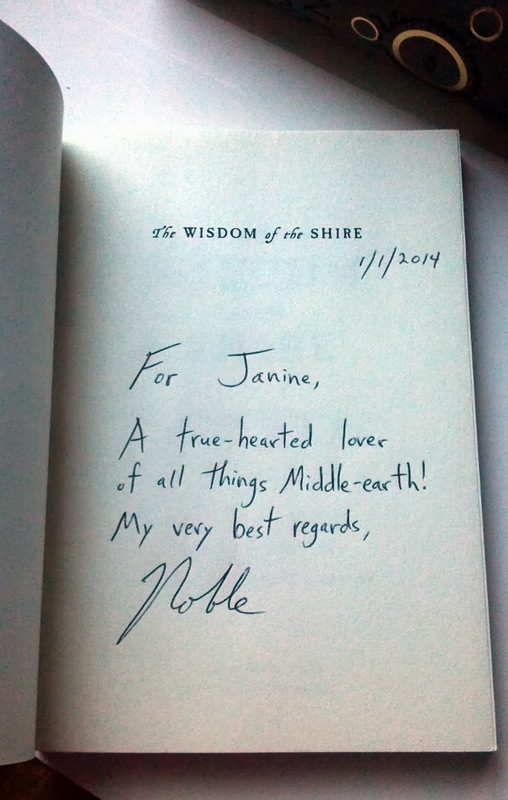 "The Wisdom of the Shire"
"The Hobbit" and "The Lord of the Rings"
A welcome flurry of emails ensued, first with Pieter and then with Noble (you can find him on Twitter @ShireWisdom) and before I knew it, the book was in the mail, winging its way on eagles. U.S. Postal Service eagles, get it? It arrived late last week, kindly signed by Noble himself (yes, I asked about his name, and yes, he answered me, and no, you must ask him yourself to gift you with such knowledge). I skimmed through it immediately, seeing lovely little footnotes that are a bit more noticeably placed, much like Hobbit feet are a tad more obvious. I even spotted a recipe I plan to try in the not-too-distant future. Then I set it aside until I had a quiet moment before starting to read it in earnest yesterday. I am not going to run through it. Oh, no, not this. My leather Hobbit bookmark from Weta is going to gradually advance through the pages, letting me savor the words, the ideas, the observations. "You can create a snug 'Hobbit-hole' wherever you are .... Because the space which you inhabit is irrelevant compared to the power of your mind to project contentment. For me that contentment has always meant having a good book at hand, so that no matter where I was stuck physically, my mind was free to soar." 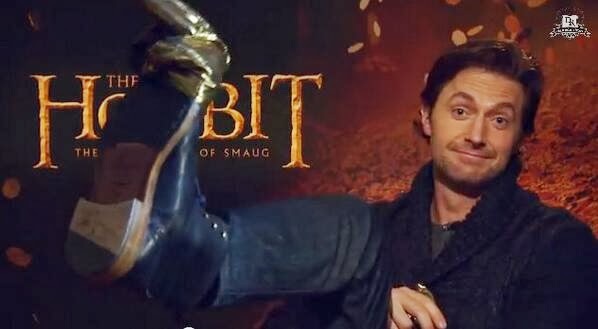 Yes, I think I know you, Mr. Noble Smith, fellow Hobbit. For now, I will settle for reading your book. But someday, I do want that chat. 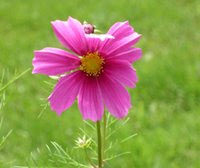 It is hard not to admire a person who radiates kindness, humility and good humor. 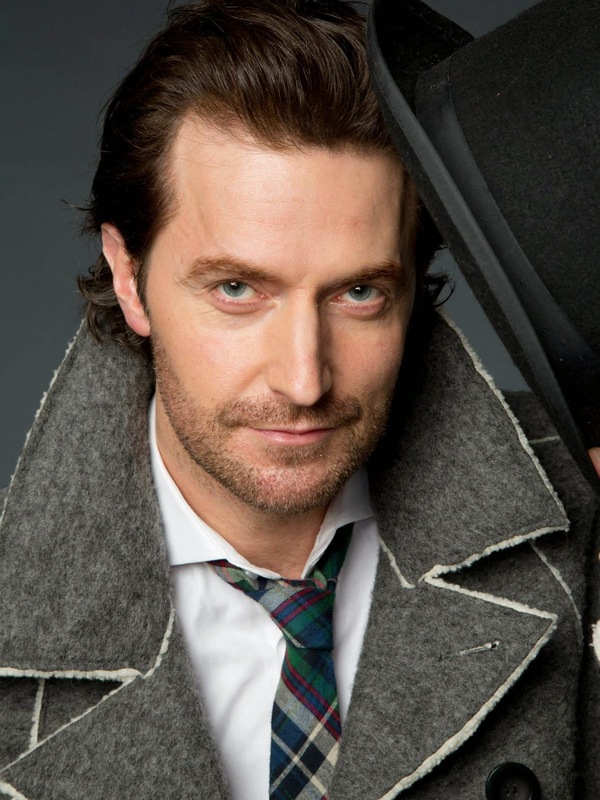 Which makes it easy to understand my admiration for Richard Armitage. It certainly isn't a surprise how easy it is to get some fans in a frenzy (or make well-wishers go wonky) to talk about some of the reasons why they like this actor so much. 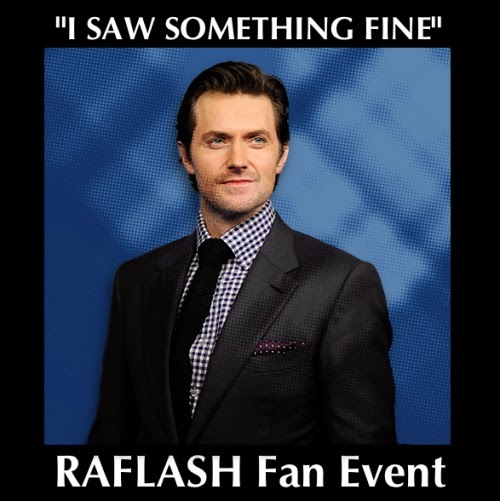 All this week is an impromptu RA Flash Fan Event, from which you can see the roundup of posts here. And thanks to Morrighan's Muse for the badge (a term I am still coming to terms with, given that I think of it as a logo). You can read my first offering for this week here. Yes, that may very well mean I have a second one in the pipeline. Wonky. Is all I have to say. I was floating home on a wind chill of -32 degrees Fahrenheit after a second viewing of "The Hobbit: The Desolation of Smaug," thinking of fire and heat and dwarves (not necessarily in that order). As I blew into my bedroom where it was at least 90 degrees warmer than the wind chill outside, there on the quilt lay a package. With this on the corner. 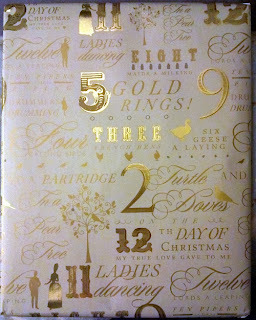 My cold hands fought with the tape, but I managed to wrest it open to find this. 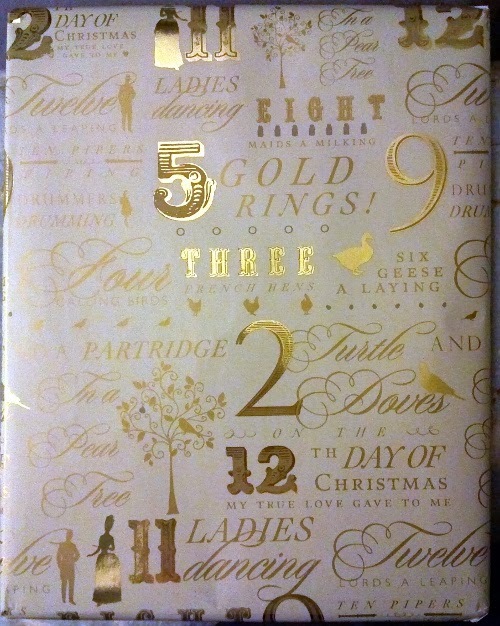 I particularly appreciated the luster of gold on the paper, my eyes falling on the 5 GOLD RINGS! first. 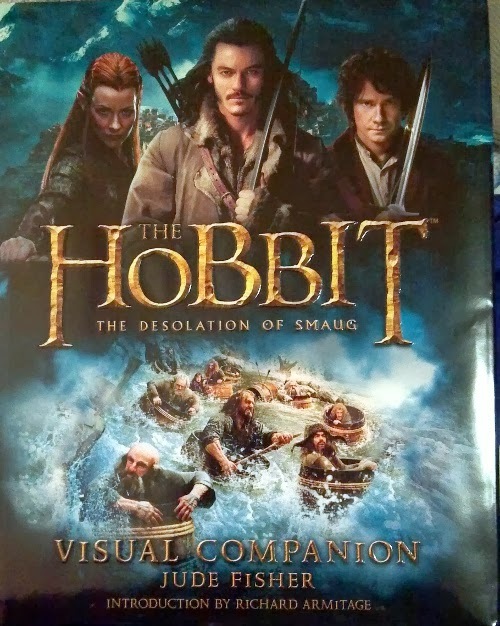 I carefully popped open the taped ends and what should emerge but the latest traveling book, "The Hobbit: The Desolation of Smaug Visual Companion" by Jude Fisher. Oh, the places it has gone. 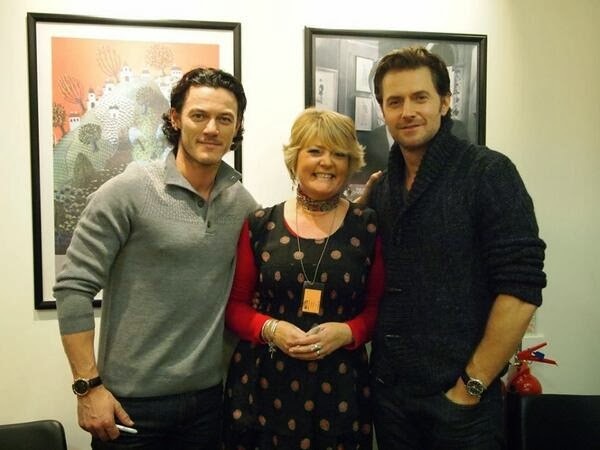 Its journey started in London at Waterstones Piccadilly where dear Pamela attended the book signing on Dec. 6 with the author and actors Luke Evans (Bard) and Richard Armitage (Thorin). I admit, I asked earlier in the week if she might consider getting a book signed. But she demurred, saying getting autographs wasn't her thing. I said no problem. Although I might have asked if she'd tweet a picture of the panel. Just because. I was out walking the dog and nearly fell down in the snow. And then Pamela went home to New Zealand. I had no idea where the book was since she mentioned maybe having a friend post it from London. I had suggested asking the plane to make a slight detour to Maine and drop it out the door on its way to deliver Pamela back to the land of pohutukawa trees. It was more than a week later before Pamela let me know she was braving the holiday crowd at the post office to post the book to me. Yes, this book was on its way back again. As it turns out, it has likely circumnavigated the globe. Pamela returned to NZ via Dubai and Melbourne before she and the book landed on the North Island of New Zealand. After a few days, the book likely left the Southern Hemisphere to fly up the Pacific, crossing the equator before traversing North America on its two-week return journey to me, in the wilds of Maine. As I opened the cover of the book, I have to admit to feeling a wee thrill chase through me. Pretty sure it wasn't a chill. 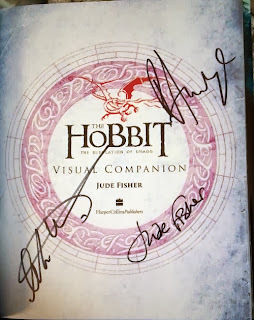 And there, with the author's signature (what a dream job for a writer to put together A HOBBIT BOOK), were the signatures of two men I had watched minutes ago on the silver screen. I was blown away by Bard, played by Luke Evans who brings an intensity and urgency (along with a lush accent) that fuels the second installment of "The Hobbit." 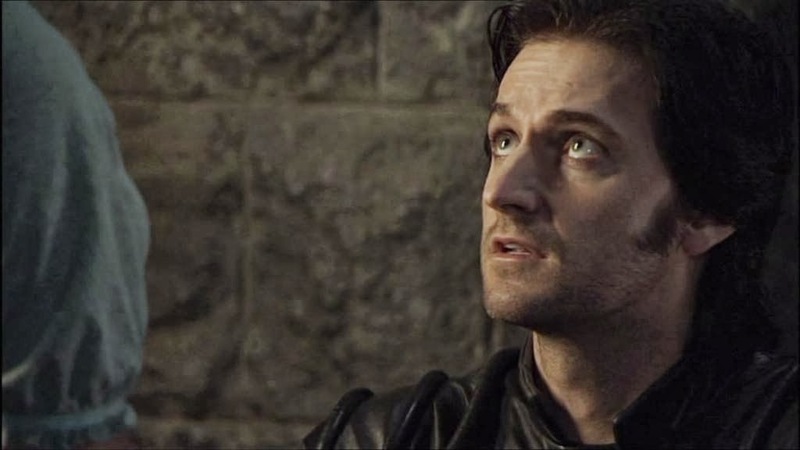 Then there was Richard Armitage. I was struck anew by his ability to play subtle to its utmost. His moment of walking inside Erebor, his voice cracking as he sees his home after decades of exile, brought me to tears yet again. Thousands of miles later, here I stood, book in hand, their signatures before me. What an incredibly sweet remembrance. 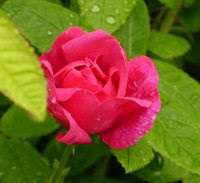 Thank you, Pamela, dear friend. at Waterstones Piccadilly on Dec. 6, 2013.